Start taking classes at Impact Strength and Performance and other studios! 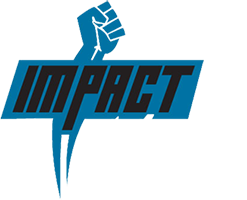 Impact Strength and Performance specializes in helping busy club sport athletes standout amongst the competition by getting them to believe in themselves and dramatically increase their speed, vertical jumping, functional strength and ability to stay healthy. They use a proven formula that is guaranteed to get game-changing results that will lead to more points being scored, better defense being played and ultimately attracting the attention of college recruiters and/or premiere club teams. Parking is available around the Impact studio. Impact Strength and Performance is located inside Evans Industrial Park. Please do not park in front of other businesses garage doors. Great class! Drew is very helpful and attentive. Makes a point to help you with your form and work on what you want to. When Riley teaches it is FANTASTIC. The sub this time was a real sad disappointment. Great class, great instructor. I really like coming here. Good for all fitness levels. Such a good class. Very much had the feel of a personal training session. Really awesome vibes, tips and adjustments. Felt wrecked in a good way after. Riley is great to work with. I always have a lot of laughs and wake up sore the next day. Babs will get you. Love it. Instructor did not show for class. Awesome atmosphere. Tough workout with a decent amount of warm up in the beginning. Definitely enjoyed Drew as a trainer. Looking forward to more workouts here.